Jeff J. Friedman has more than 30 years of experience representing creditors and debtors in Chapter 11 bankruptcy cases. He works in all aspects of bankruptcy law, including Chapter 11 reorganization, recapitalization, debtor-in-possession financing agreements, asset acquisition agreements and structured finance agreements. He also provides bankruptcy analysis and opinions in public financing transactions. Jeff’s clients include Chapter 11 debtors, creditors’ committees, financial institutions, major corporations, municipalities and individuals in financial services, real estate, aviation, telecommunications, retail, electronics, music recording, equipment manufacturing and energy industries. 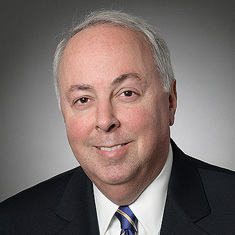 He has represented institutional lenders, corporations, hedge funds, trade creditors and individuals in Chapter 11 cases nationwide, including Lehman Brothers, MF Global, The Tribune Company, American Airlines, TWA, Bernard L. Madoff Securities, The Weinstein Company, Bayou Group, W.R. Grace, Dow Corning, LTV Steel, Bethlehem Steel, Enron, Global Crossing and WorldCom. He has also represented the unsecured creditors’ committees of Clark Material Handling Company and Unitel Video. Jeff has extensive experience representing debtors, including Continental Airlines, Texaco, Chyron Corporation, The Consumers Trust, Prins Recycling Corporation and General Textiles in Chapter 11 cases. Jeff serves on the board of editors of The Bankruptcy Strategist. He has written for, and spoken on, panels of the American Bar Association, the New York State Bar Association and the Association of the Bar of the City of New York. He has taught continuing legal education seminars on various aspects of bankruptcy and creditors’ rights law, including a lecture series sponsored by Pace Law School. Shown below is a selection of Jeff’s engagements.